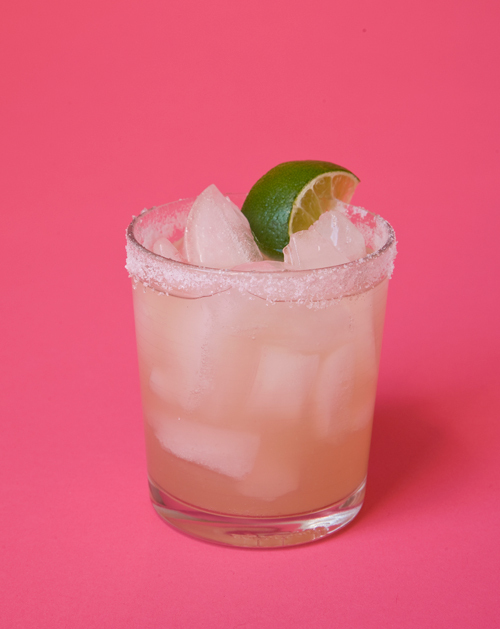 Our mother’s powerful margaritas are legendary among her friends, our friends, and all of our friends’ friends. These aren’t the wimpy, sour-mixy margaritas you may know from restaurants; they’re as pure as a margarita gets. Drink them at your own risk! Moisten the rim of a glass with lime juice, then coat with salt. Shake all the ingredients vigorously with ice for 20 seconds and strain into the salted, ice-filled glass. *If you consider yourself a margarita fan, you may be tempted to go “top shelf” on us and substitute some fancy tequila for the Cuervo. Don’t. We’ve tried this drink with several premium tequilas, and though the resulting drinks were good, they didn’t have the just-rough-enough limey perfection of Michele’s. And these are easier on the wallet. Combine all the ingredients except the salt in a large pitcher, add ice, and stir vigorously for about 30 seconds. Spoon out the ice cubes. Store the pitcher in the refrigerator until party time. Serve in glasses with salted rims.